…streams of water will flow on every high mountain and every lofty hill. 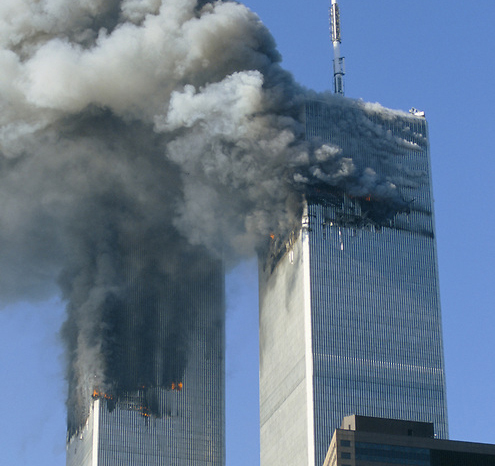 Something terrible happened September 11, 2001. It was indeed a day of great slaughter when the towers fell. It matches the mysterious event spoken of by Isaiah the prophet. Was Isaiah speaking exactly to our moment in history? In my opinion, God’s word speaks to us all in a great variety of situations. In His manifold wisdom, one word accomplishes many things, more than we can count. For me, this scripture lit up like a beacon, capturing my attention through the mention of an unforgettable shared trauma. And here’s the remarkable thing. He announces that this horrible satanic attack also triggers a great spiritual outpouring of Grace and Living Waters, far more than adequate to heal our wounds and meet the challenges of our time head on. That’s what I get out of this amazing passage. How about you, dear readers?